Soaring content pilots record their flights using special flight records. The flight information can be played back and viewed in special software for soaring pilots called “See You”. 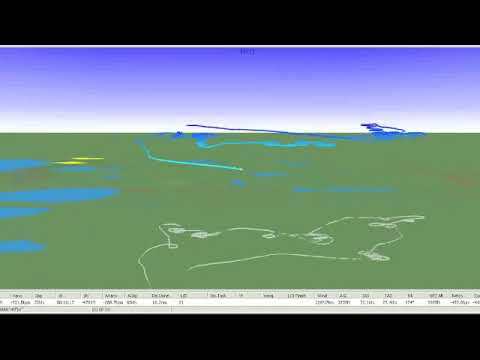 The video was generated using the SeeYou software based on a flight recording in my DG-300. The speed is 200 times that of the actual flight. The darker the line of the flight track, the lower the altitude of the plane. You can see the climbs and descents based on the color.